Along with the cost and difficulties of maintenance, an aging PBX may lack the flexibility to handle growth or support a mobile workforce. Many businesses already rely on SaaS products in the cloud for critical business applications like CRM and ERP. Similarly, a cloud phone system provides enterprise-class business communication services without the management and overhead that is required to support on-premise PBX hardware. 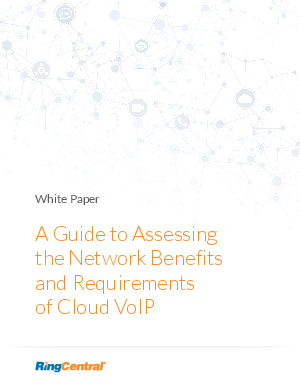 Finally, this guide provides simple advice for assessing your network’s readiness to deliver VoIP at a business level of quality and service.